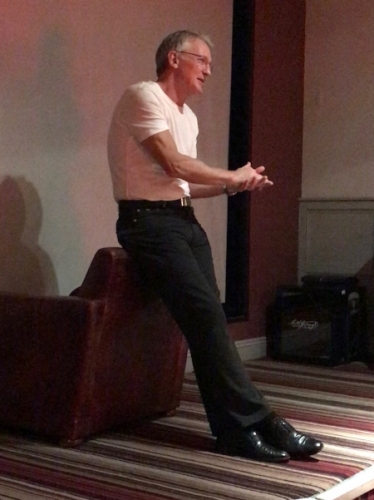 The South West Branch of the Supporters Club’s evening with Blues legend Russell Osman last Friday raised £400 for The Beat Goes On, the campaign to build a statue of Kevin Beattie, which has now passed the £18,000 mark. Ex-Town and England central defender Osman answered questions from South West-based Blues at Horts in Bristol. Led by the EADT and Ipswich Star in conjunction with BBC Radio Suffolk and TWTD, The Beat Goes On was launched last month with the total now having reached £18,594. The target is £110,000 for the statue, which will become the third at Portman Road, and additional associated costs. Quite agree..NewEraNewMe......Players of the nature of The Beat etc should be epitomised by the club....Supporters would definitely put there hands in their pockets....but should they have to really.....Come on Marcus Evans do something sensible with your cash for once. As a minimum Evans should match pound for pound what supporters raise. Are statues tax deductable? There don't seem to be many more than 20 people in that photo - which means they averaged up to £20 each. Given the current state of the appeal that appears to be rather more than the average supporter who actually attend games have managed to stump up. Bit rich assuming the club and Evans should fund something supporters started. If the people who actually go to the games stump up £10 on average that is more than enough. Another way supporters could show their appreciation, instead of campaigning for low prices - eg Derby at £12.... make it £22 with £10 from every ticket going to the appeal. Might be nice to see supporters put their money where their mouth is for a change. The go fund me page currently shows that £7110 has been raised by 246 donations that is an average of £28.90 per donation. Averages do not matter though. Supporters will give what they can afford. I agree that the total is somewhat light of the target. Is this because of a general apathy from the supporters for the statue or has the message not got to the wider audience yet?. An announcement from the club that they will help fund this venture would not only boost the coffers but give more publicity to the campaign.